Special characters are not allowed. Please remove and try again. Special characters and space are not allowed. Please remove and try again. We have resent the Activation Code to your registered Mobile Number. CRM portal already registered with your contact details is still available. Please send a mail to support@kreatocrm.com or call us on our support numbers: (+1) 628-600-2908 (USA) or (+91) 902-513-8100 (INDIA) for access. CRM portal ( ) already registered with your contact details is still active. Please click on the below button to proceed to your CRM portal. Trial CRM portal () already registered with your contact details has not been activated and still available for your usage. Please click on the below button to get the activation code and start using your trial portal. CRM portal () already registered with your contact details is still available for re-activation. Please send a mail to support@kreatocrm.com or call us on our support numbers: (+1) 628-600-2908 (USA) or (+91) 902-513-8100 (INDIA) for re-activation.
) and login credentials to your Business Email-Id (). So make sure you have provided correct details before proceeding to the sign-up process. Entered 'Business Email' has been already registered with us. Entered 'Business Phone' has been already registered with us. Sorry, entered portal name is already taken. Please choose another portal name or contact our support. Please wait, we are configuring your trial account. Congratulations, we have successfully configured your CRM portal account. Just one more step away to start using your CRM. We have sent the activation code to your registered mobile number . Please enter the activation code and submit for activating your CRM portal. 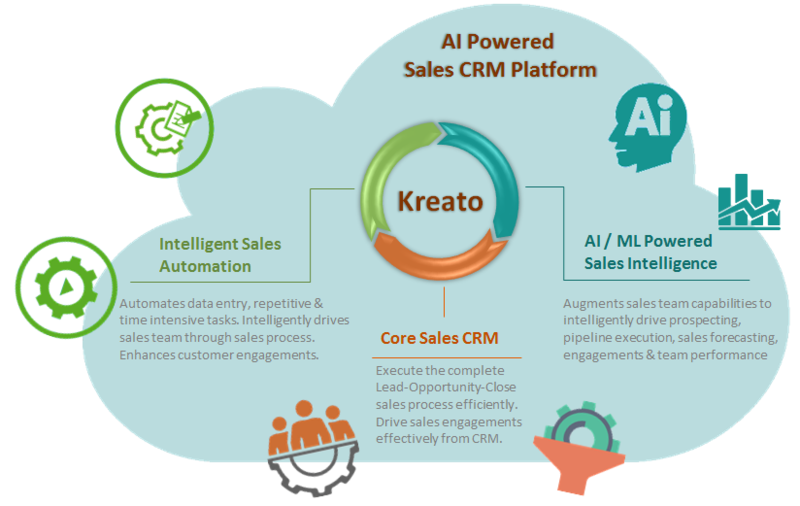 View Kreato CRM online demo before you get started. Please wait, we are resending the activation code to your registered mobile number. Please wait, we are activating your trial account. Congratulations, we have successfully activated your trial portal(). Login credentials has been sent to your registered email address. .
(Gmail and Yahoo users can check the spam folder once for the login instruction mail. If found there, please move the mailer to your inbox to avoid further communications going to the spam folder.) To prevent mailers from going into the junk folder, Please add Kreato (Hello@kreatocrm.com) to your address book. Your trial account not activated because of some technical problem. Please activate later, browse with your portal name and then activate it.